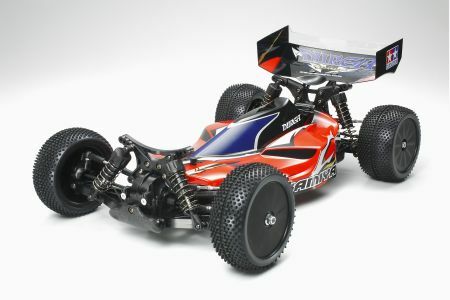 Since it’s release last year, Tamiya’s TRF501X has enjoyed many competition successes, including winning the recent European Championships in Finland. The experience gained through the development of the TRF501X is now available to fans around the world in the form of this much-anticipated R/C off-road buggy, Durga. # All-new DB01 chassis locates heavy components such as battery and motor near the center for optimum weight distribution. # Race-proven and reliable 2-belt driven 4WD system is completely enclosed with ABS resin covers to prevent dirt and debris from interfering with drivetrain operations. # Chassis features integrated bulkheads, which reduces the number of parts and simplifies maintenance. # Tough ABS resin 4-wheel double wishbone suspension system features the same configuration as the TRF501X and provides a wide range of settings options. 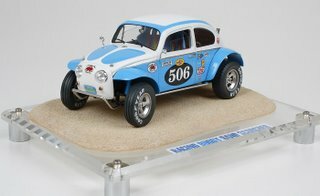 # Brand new buggy body with rear wing is made from lightweight polycarbonate material. # Wheels, tires, and Type 540 motor are included. # 2-channel transmitter, ESC, running battery & charger are separately required. This entry was posted in Future Releases on September 24, 2007 by admin. Tamiya’s classic R/C Hotshot was released this summer to the suprise and joy of fans around the world. 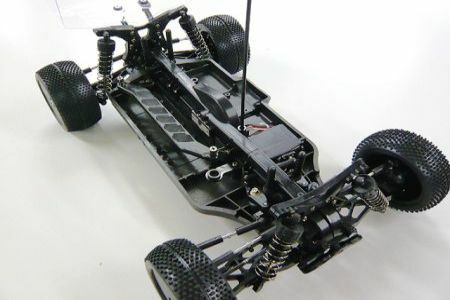 For those who don’t have the time to build that fantastic assembly kit, Tamiya now offers this Ready-to-Run version on the newly designed GB-03 TamTech-Gear chassis. # Compact-sized and Ready-to-Run 4WD electric R/C off-road buggy. # Featuring the brand new, shaft-driven 4WD GB-03 chassis, the first 4WD chassis in the TamTech- Gear lineup. 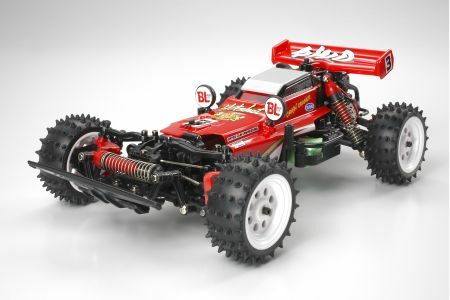 # 4-wheel double wishbone suspension features a front mono-shock that echoes the actual 1/10 R/C Hotshot design. # 4WD drivetrain equipped with front and rear universal shafts for optimum efficiency. # Front and rear pinion-type differentials effectively transfer power from the motor to the wheels. # Slipper clutch protects gears from the rigors of off-road racing. # High-efficiency 370 size motor provides extended running time of over 30 minutes. # Includes compact ESC, receiver and servo, and 2-channel Expec SP transmitter. # Running battery & charger separately required. # Wide range of Option Parts available to customize the look and performance of your machine. This entry was posted in Future Releases on September 19, 2007 by admin. 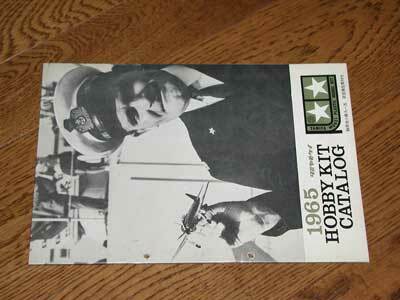 With recent announcements about new Tamiya items for the upcoming Tokyo Hobby Show, the most important information about most of the new models is readily available. However, at the time of writing this, finding information about the item number 57769, generally known as “XB SUV” in several forums, is rather difficult. 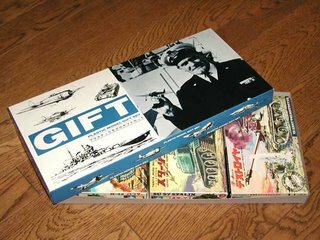 So I thought this link might be of interest. The German technical description indicates that it will not be based on the XC/CC-01 chassis like the Touareg, ………………… See update below! 4WD with centrally mounted propellershaft. Impact proof plastic bathtub chassis. 540 Motor, Electronic speed control TEU-101 BK. All-Terrain tires. 4 wheel independent suspension. Spurgear and pinion protected against debris. Update Oct. 12th, now confirmed: The Cayenne will get the same chassis as the Hummer, which means basicly TA01 with longer suspension arms tierods and driveshafts, rear arms being “stretched” backwards to extend wheelbase to 280mm. By the way, nice to see the meanwhile relatively rare tires of the Honda CR-V getting a new life! 51302 Dish Wheel (87/50) 2 Pcs. 51303 Oval Spike Tire 150/80 (with Inner Sponges) 2 Pcs. This entry was posted in Future Releases on September 13, 2007 by admin. This entry was posted in Vintage on September 10, 2007 by admin. This entry was posted in Customized Builds on September 1, 2007 by admin.